Exciting day ahead next Saturday 5th October! 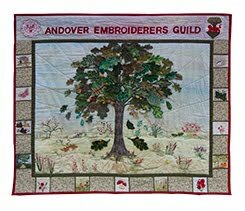 The Andover Branch are hosting the SEW Regional AGM at the Weyhill Fairground Craft & Design Centre. The AGM (for members only) starts at 9.30. Tickets are available from Eleanor - eleanor.jakeman@gmail.com or Helen - edelgar@wgable.plus.com. 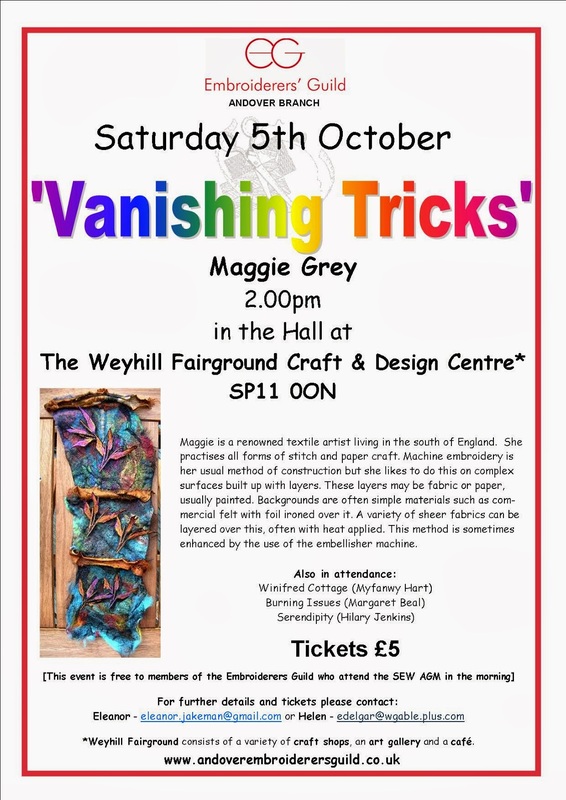 But starting at 2pm for everyone - Well-known textile artist Maggie Grey will show her fascinating work - details below.